Join us for our hugely popular ‘Ultimate Exmoor MTB Experience’, where we get to show you what Exmoor has to offer! We’ll drive you up, blast it down, and show you the very best of Exmoor! 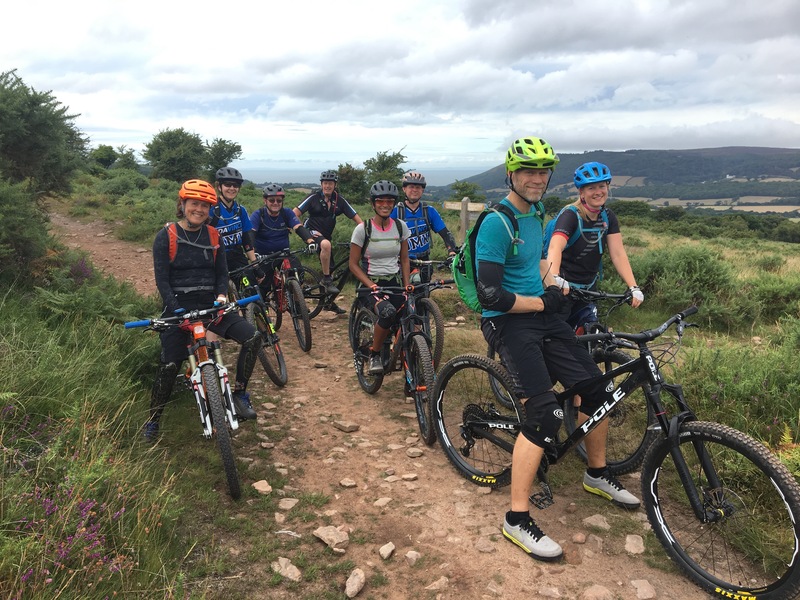 Your guide is a British Cycling Leadership Tutor, with 20 years MTB experience on Exmoor, with the ability to tie up the very best trails on Exmoor, for you to enjoy, taking in natural trails, as used in some of the local Enduro races, as well as some manmade and natural hidden gems. With a 6 seater van, pick up truck and a custom bike trailer, we’ll meet in Porlock Weir, then head up onto the moors, saving time of the uphills, so we can all enjoy the downhills. We will aim for at least 7 uplifts throughout the day (usually 8 or 9!) , including Dunkery Beacon, as well as Porlock Hill and Ley Hill, taking in roughly 30km-40km of trails. This will be a fast paced day of riding, taking in the awesome views, but aiming to keep things flowing, to enjoy as much riding as possible. This is a guiding day for experienced riders, with all their own equipment and a fully functioning mountain bike (recommended full suspension). Riders are expected to be of a level that don’t require coaching or skills development, but happy to take on rocky, technical, steep and rooty descents. If you’re unsure whether this is for you, please get in touch. Snacks and hot drinks will be provided, as well as a hot pastie. The day will finish with a descent down into Porlock Weir and an optional Bike Clean at our base. Do you have a group? Book your own date!